My Award Winning Handicraft and Christmas Site! This is a fantastic handicraft site! Fantastic patterns for scrunchies and more! Want to join the The Child of God Web Ring? The owner of Pinchy's Place can be reached at smile@idsely.com. Wanna join the ring? Click here for more info! 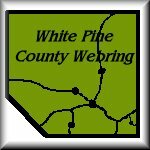 The White Pine County Web Ring? This site was last updated on March 21, 1999.